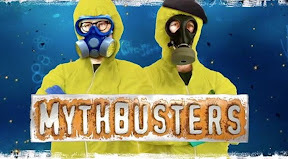 Things get volatile tonight (9 p.m. CT, Discovery Channel) when the “MythBusters” meet “Breaking Bad” creator Vince Gilligan and star Aaron Paul to test some chemistry behind the popular AMC drama. The team recreates two iconic, acidic scenes to see if the science truly holds up or melts down. Discovery Channel and AMC are available to all Suddenlink customers who have what is commonly known as Expanded Basic TV service. 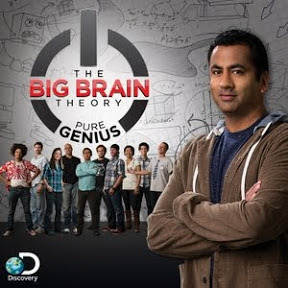 On “Big Brain Theory,” competitors take on an Olympian challenge: design a robot that can tackle three athletic events. “Outrageous Acts of Science” takes science to the streets, as amateur and professional scientists conduct experiments and post their exploits online, competing with other backyard scientists to go bigger and bolder. 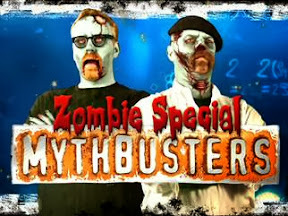 “MythBusters” burns rubber at the Indianapolis Motor Speedway testing racing myths.